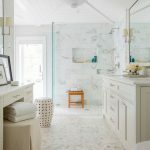 This week I’m sharing my master bathroom. 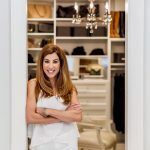 When my husband and I decided to renovate our home designing a new master bedroom and bathroom was a priority because we were moving from the upstairs to the main floor. 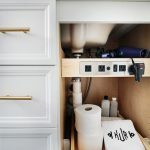 I have been sharing my renovation experience as an organizer and as a homeowner if you want to read about it from the beginning you can find it here and here. 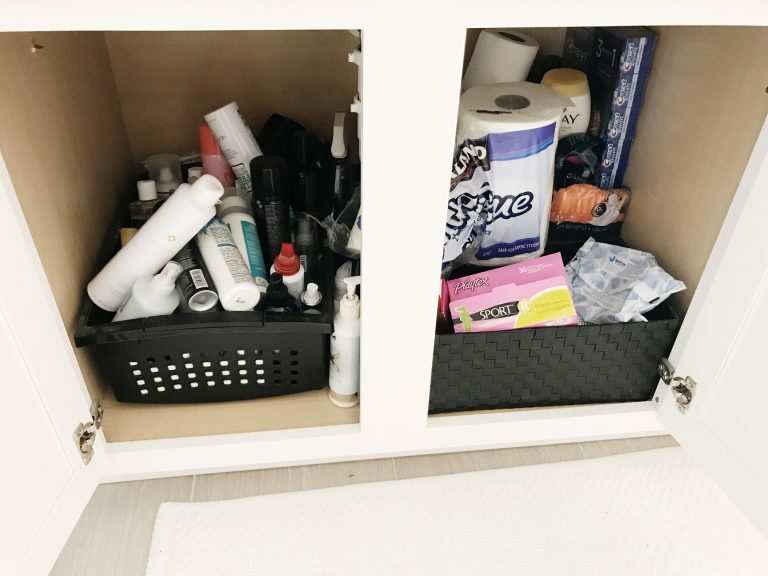 One of the most common questions I’m asked is “what items do you use to organize your home?” This week we take a peek into my bathroom and I show you some of my favorite things to use when I organize. I always start a project by making lists whether it’s for a client or my own home. Keeping a designated notebook for my renovation was a lifesaver. I took each area we were going to renovate and wrote down what was working and what was lacking in the existing space. I also kept notes that I could refer back to. Technology is great but sometimes you just have to keep it simple. 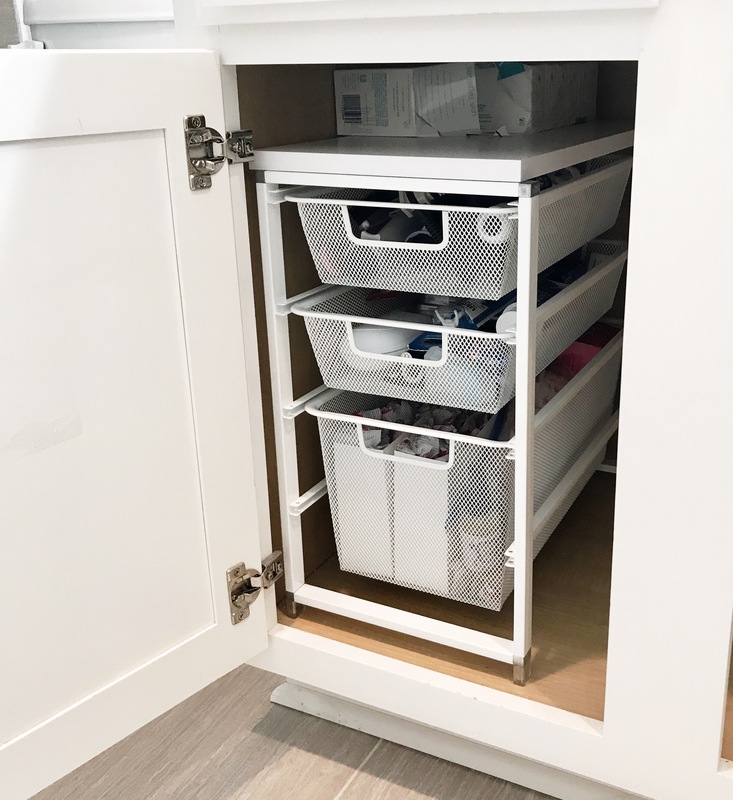 The most important part of planning the master bathroom was making sure there was adequate storage for myself and my husband. 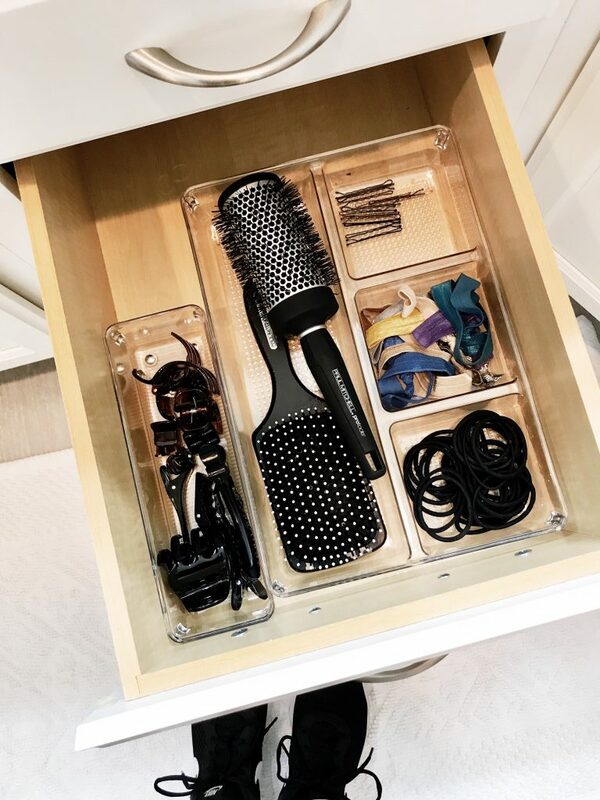 I wanted my own space for doing my hair and makeup and enough drawer space to fit my needs. Although I knew what I wanted I enlisted the help of my designer Kelly Cook to make it a reality. When you are going through any major changes in your home it’s always a good idea to have an experienced person who can make decisions especially when it comes to the details. Some of the decisions were more difficult than others which leads me to the honed marble counter tops. 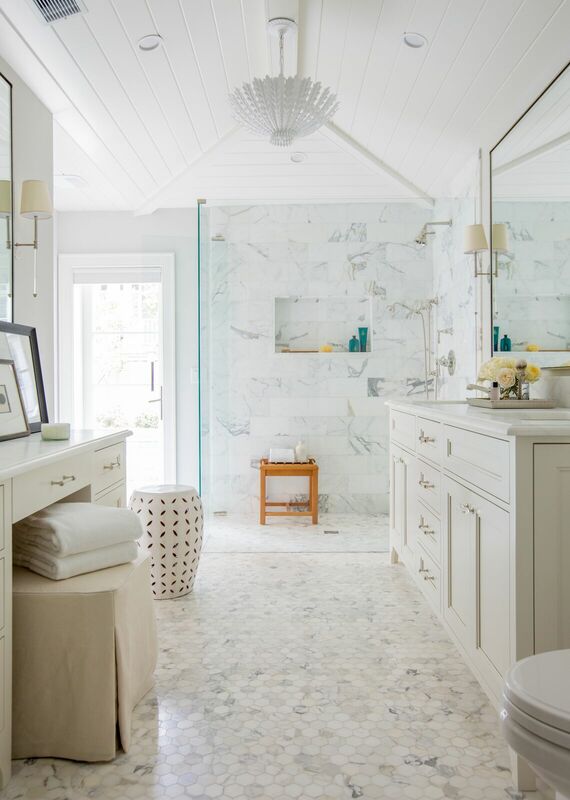 Everyone thought I was crazy for choosing marble in the bathroom because it stains but I loved the look so much that I just went with it. Does it stain? YES! Did it bother me at first? YES! With that said I don’t regret using marble beccause it gave me the spa look I was trying to achieve. Would I use it in the kitchen? NO!!! The bathroom is a personal space. The kitchen is a place you entertain and I would prefer not to flinch everytime someone pours a glass of red wine or squeezes a lemon. Now to my favorite area in the bathroom the vanity. I didn’t have one before so it was important to make it happen when we were designing the bathroom. 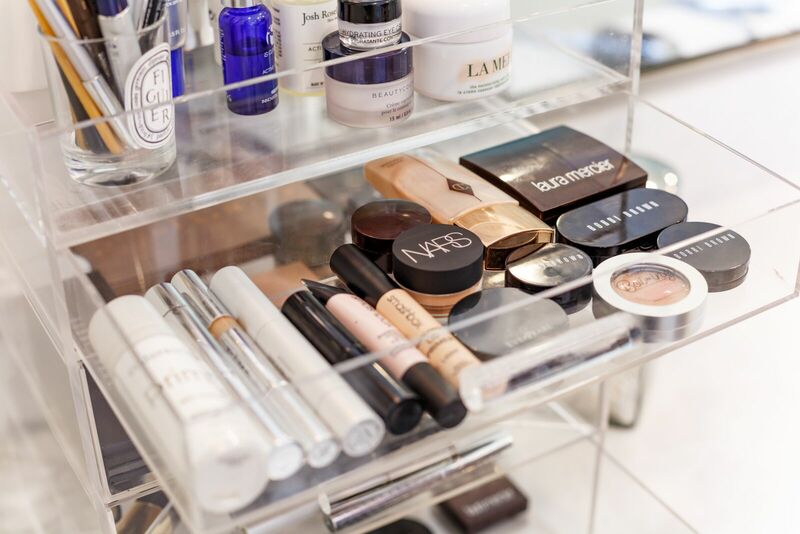 I love having a seperate space for makeup, hair, talking on the phone and even using it as a desk at times. 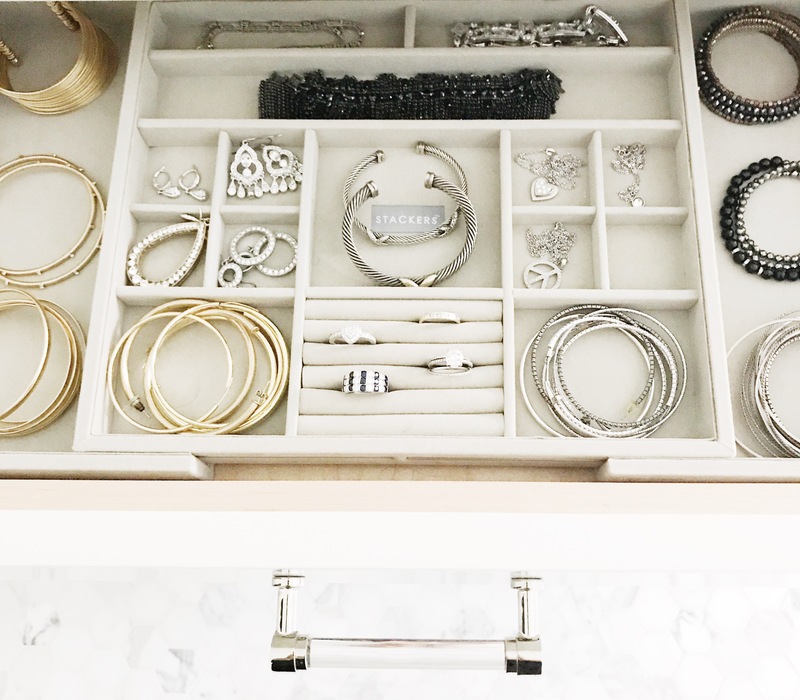 I debated on what to put in the top drawer because of the depth and height but it turned out to be the perfect solution to organize my favorite jewelry pieces. 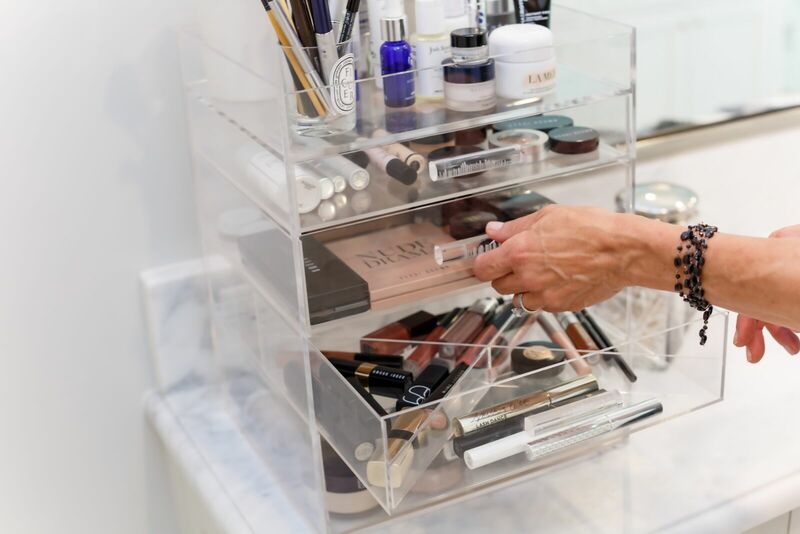 My vanity top had plenty of space so I decided to organize and display my makeup with a GLAMbox. 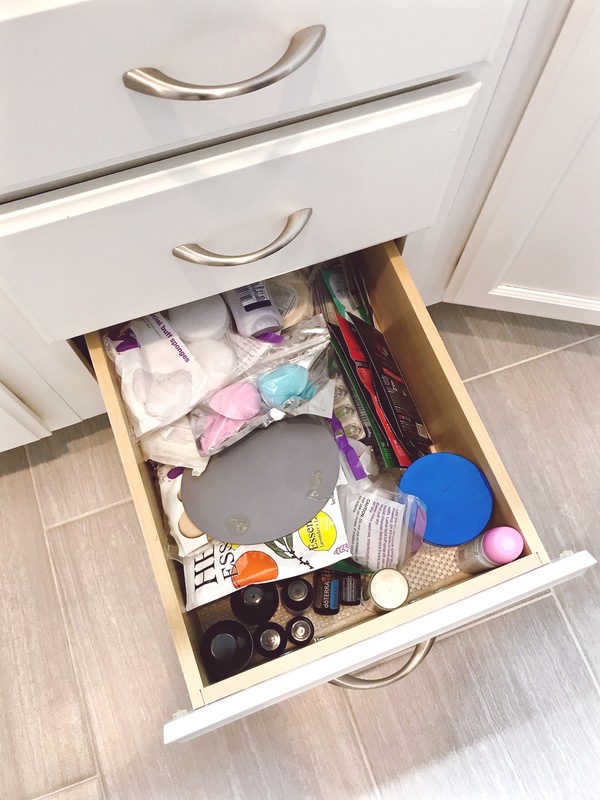 Normally I like to see counter tops free of clutter but if you have the space and find something that is not only functional but looks good then you should go for it. 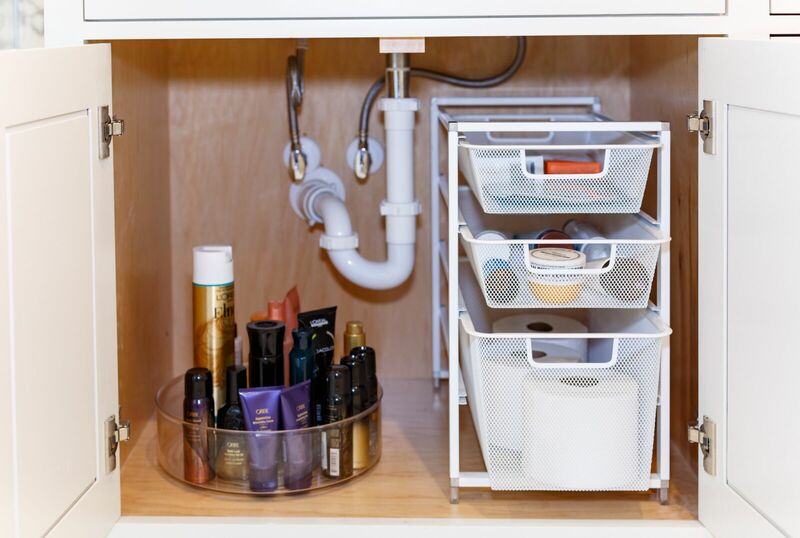 It will free up drawer space for other important items you use in a bathroom. 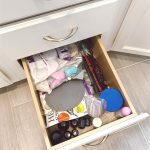 One tip I preach when organizing makeup is to keep like things together and the drawers in the GLAMbox made that easy. They even have a drawer divider for smaller items. I use the top for my makeup brushes and items I use on a regular basis for easy acess. 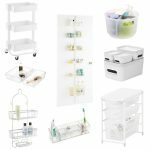 They are a bit pricey but this one piece has kept my makeup organized. The next area I have to mention is the space under the sink. I wanted to utilize every bit of space, including the height, so I would have room for eveything I use. 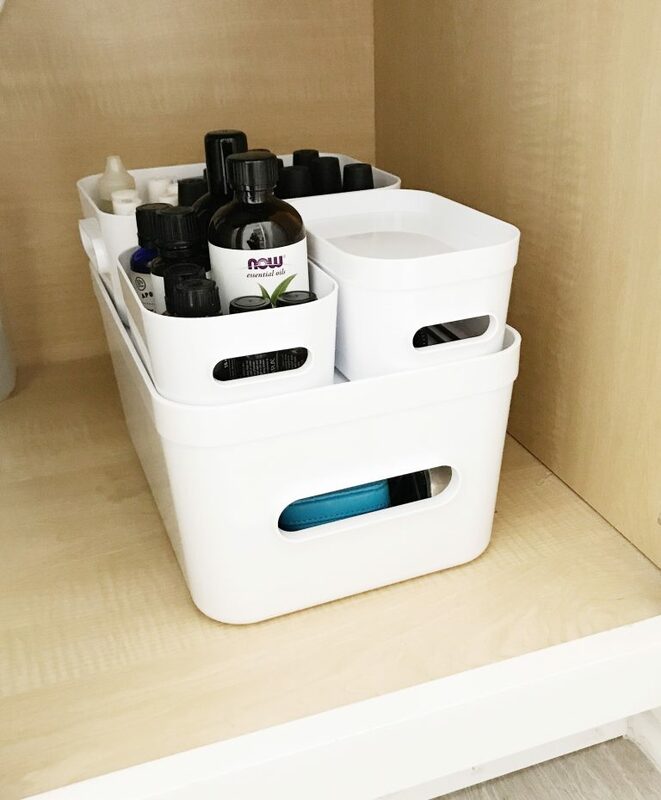 The cabinet sized elfa bath storage was perfect because they come in different widths and heights to accomodate almost any size cabinet. 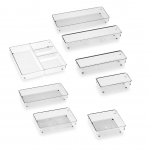 They also give you extra drawer space and easy access. 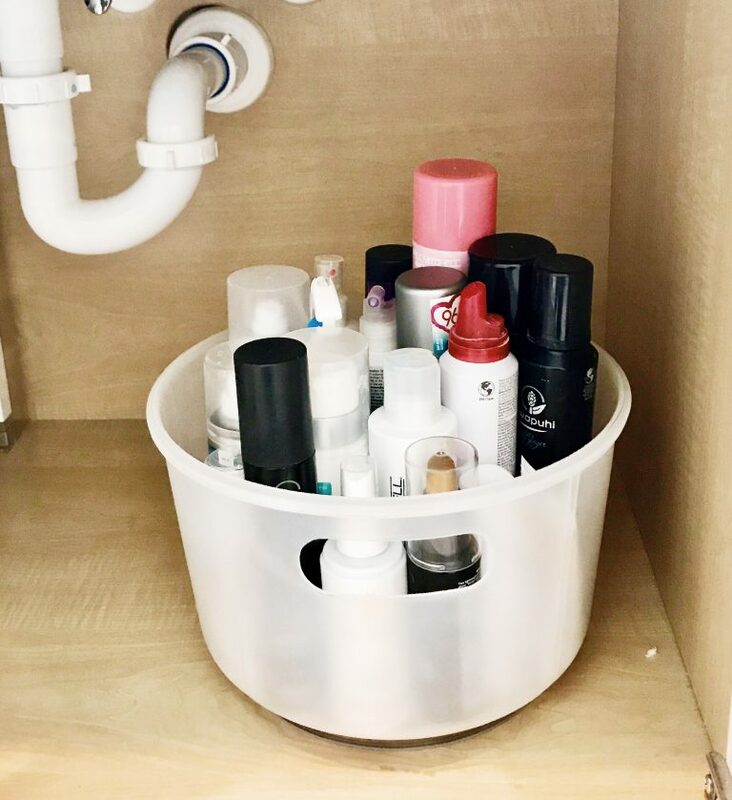 My other favorite item to use when organizing under a sink is a lazy susan. 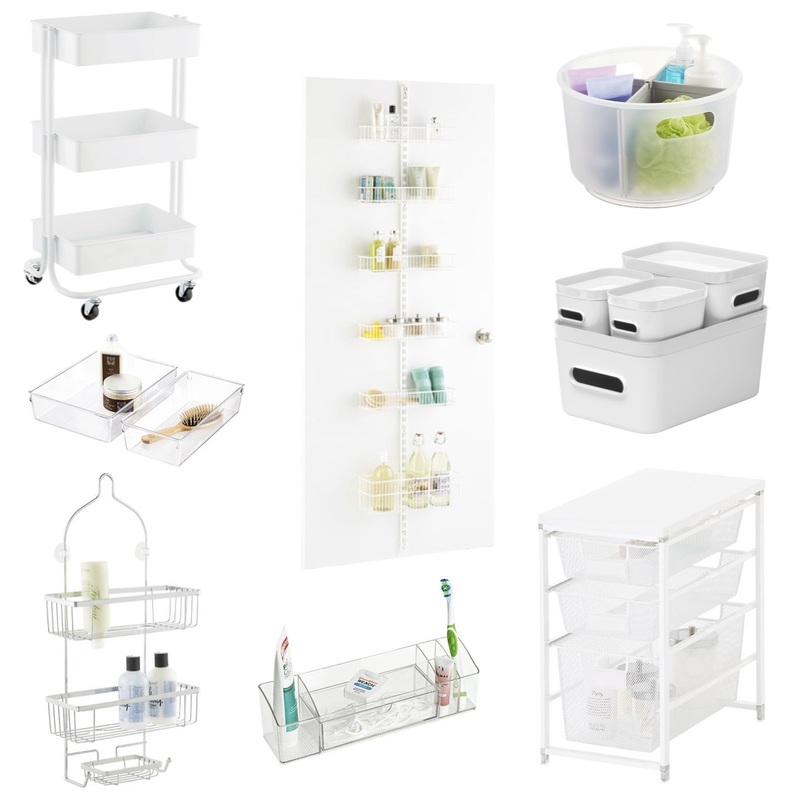 I use these everywhere when I organize a home. It allows you to see what you own so you don’t purchase what you don’t need. 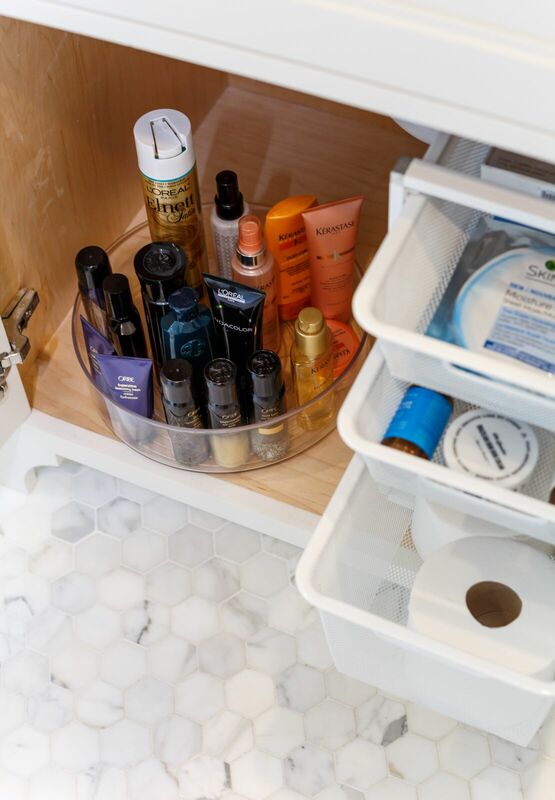 I like to keep all of my haircare products in mine but you can you can use it for any item that fits your needs. I have said this before but its worth mentioning again with any renovation picking the right contractor and being organized are essential. It alleviates stress and will make your project run smoothly and timely! If your a hair diva like me stay tuned for a future post.